James Coble Middle School and Timberview High School both earned the national distinction. 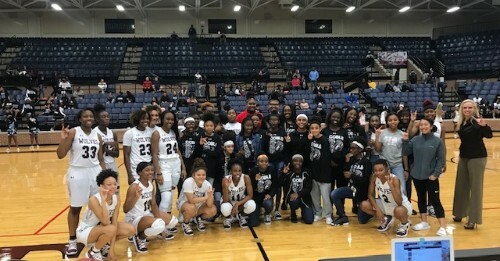 Coble girls basketball players mingled with the high school basketball players and watched the state ranked Timberview Lady Wolves play some great basketball. 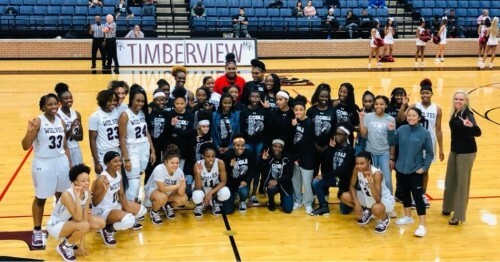 One of the Timberview varsity players is just one year removed from Coble Middle School, so our girls remember her. It made quite an impression on our team to work hard and practice.